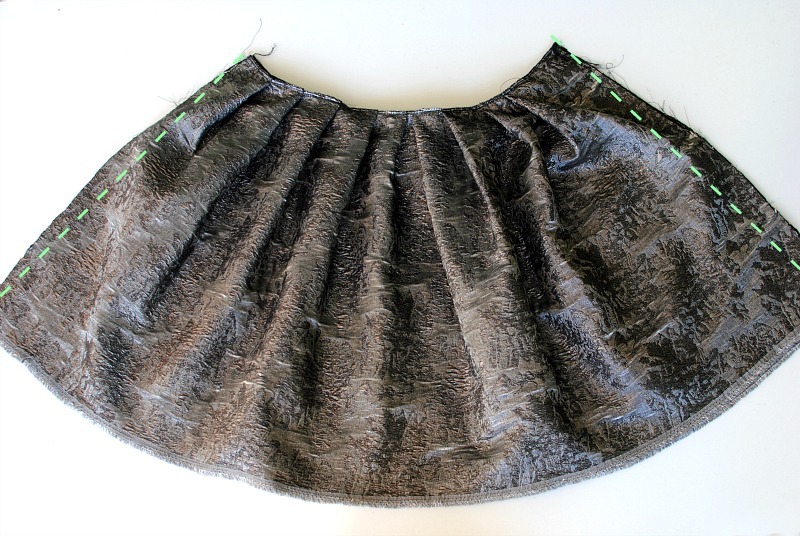 Nothing says Holiday attire like metallic textiles and full skirts. This simple pleated skirt is the perfect Holiday look paired with a sweater or jacket and you're good to go. 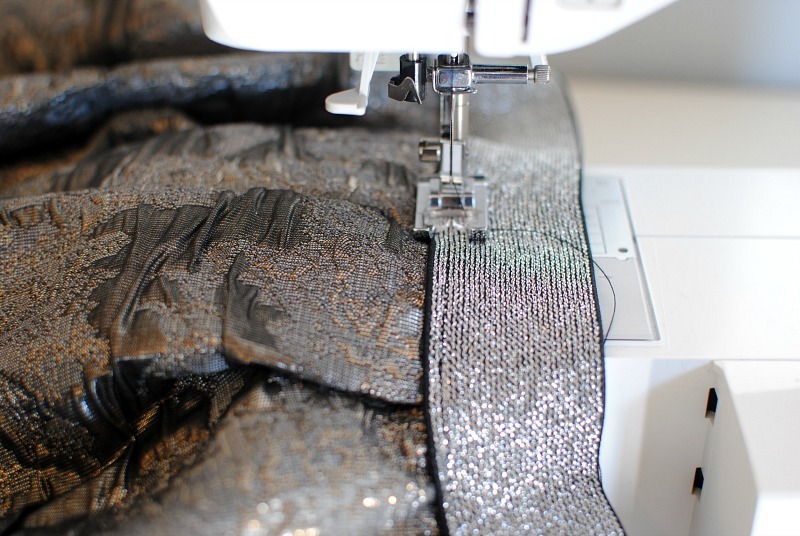 Let the fabric and waistband be the drama, like this Dritz Metallic Waistband and Mood Fabrics Metallic Brocade. 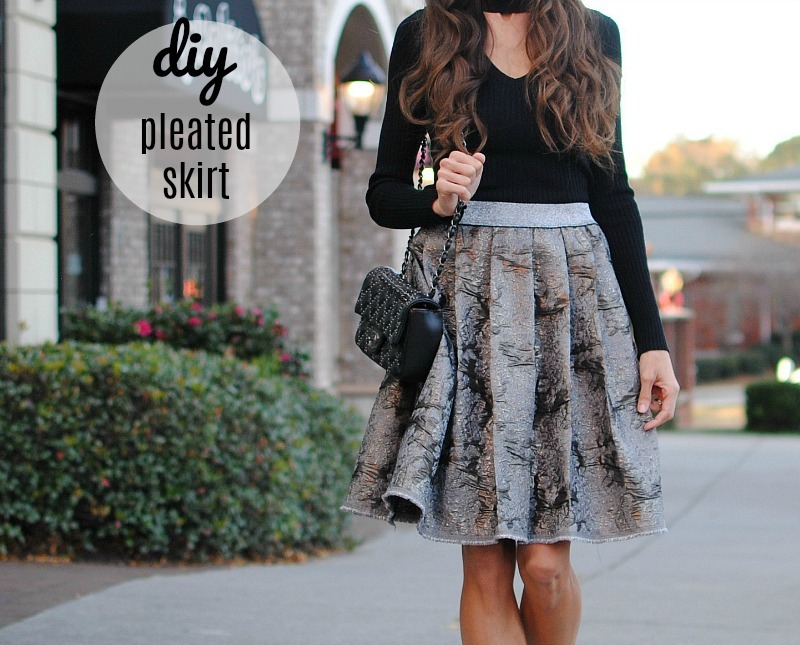 Get the details below on how to make your own pleated skirt just in time for all the festivities! 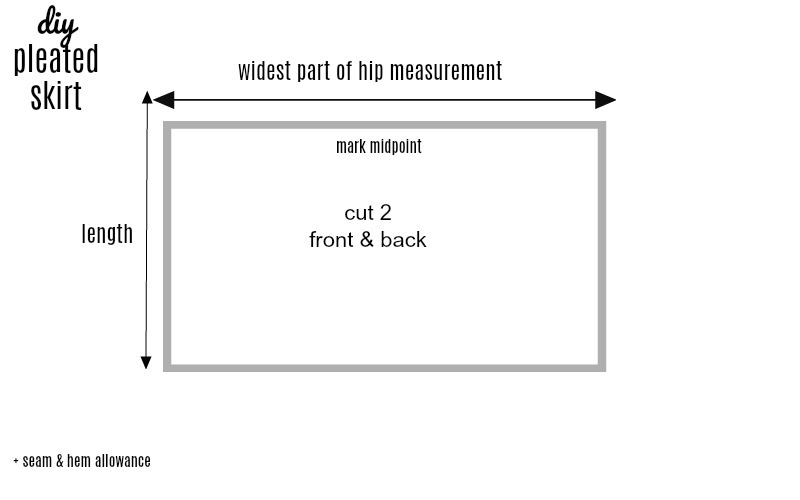 Cut 2 pieces of fabric that measure the length you desire and your hip measurement (not waist). Mine were 20" x 35 (+ 1" for seam allowance). 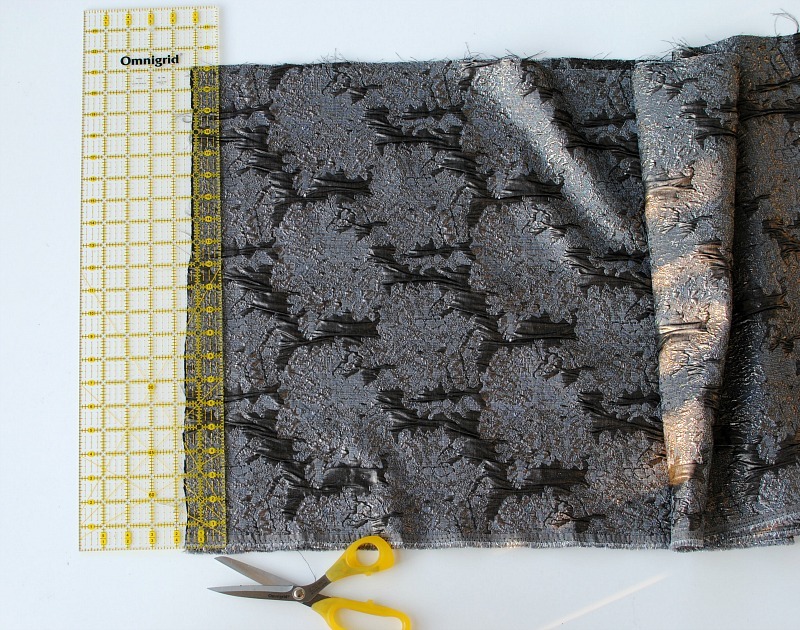 Be sure to add in the hem & seam allowances (1" +). For this hem I used the selvage edge of my fabric because I loved the fringe trim look. For both front and back pieces. Start at midpoint and create folds going in the same direction each way. Mine were about 1" folds per pleat. Fold the pleats till they equal 1/2 your hip measurement: 17.5" for me (again my seam allowances are included). You will have to adjust these pleats according to your measurements. Repeat for the back piece as well. They need to equal your hip measurement so you can slide this part over your hips without tearing since we will be using an elastic band as the waist. Sew the pleats into place for both front and back. Place both back and front pieces right sides together and sew the sides up. 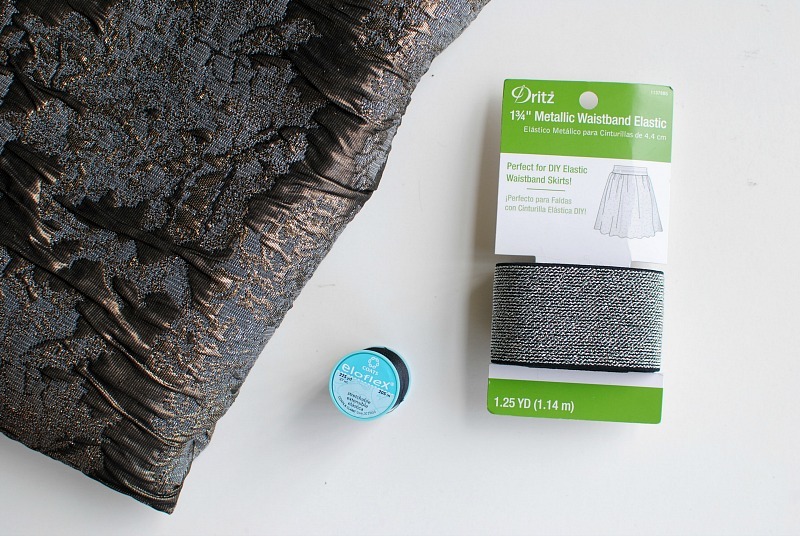 For the waistband: These Metallic Elastic Waistbands from Dritz are perfect for when you want a dramatic waistline. 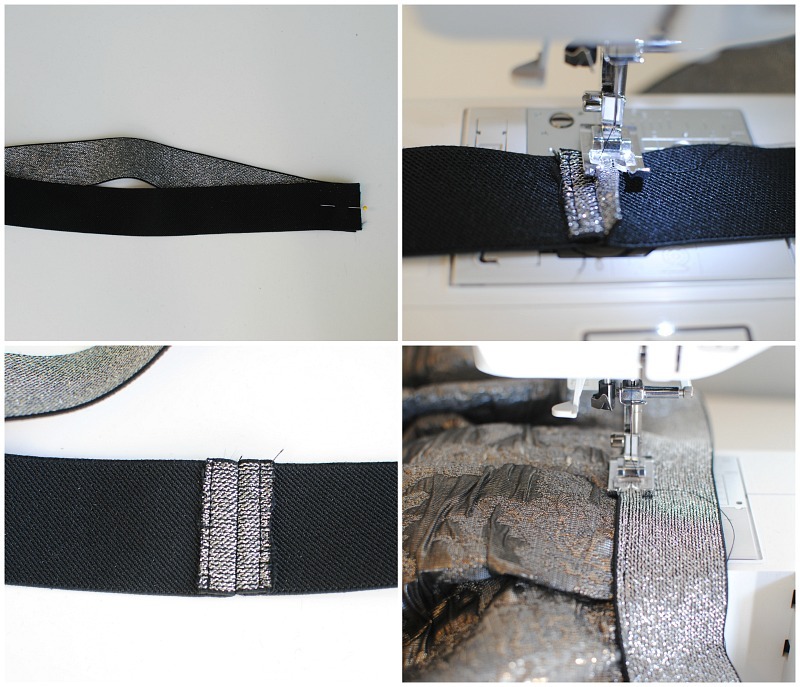 No need to create a casing for the elastic! Try these on tulle and pencil skirts as well like I did here. 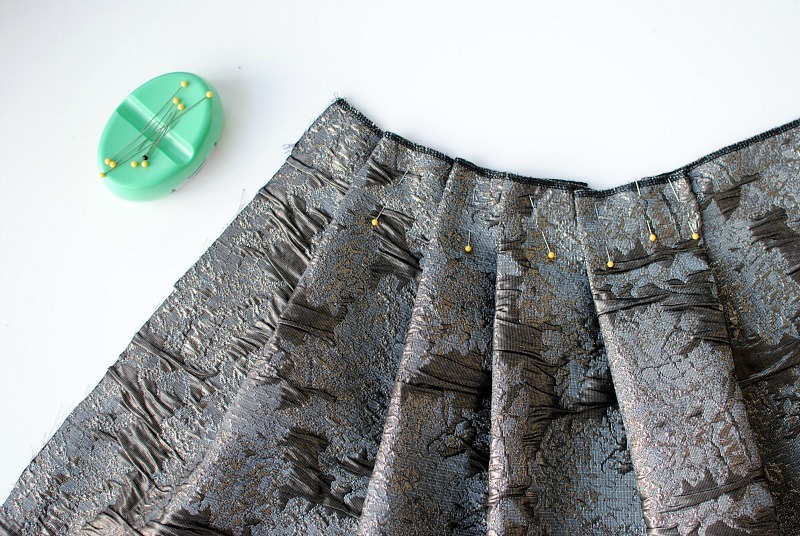 Attach the waistband on the skirt. I like to pin midpoint back, midpoint front, and each side. 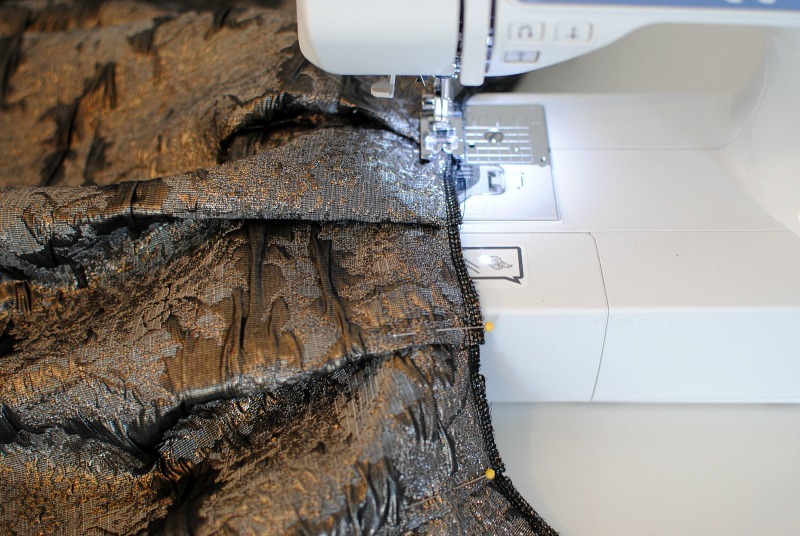 Start sewing at one of these points. As you sew pull the elastic to meet each point. 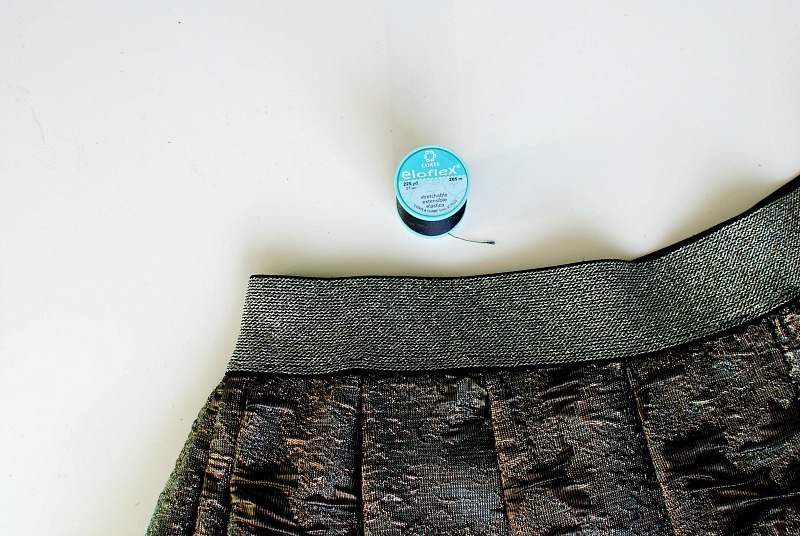 Try Coat's new Eloflex Thread that sews secure, stretchable seams, and perfect for elastic waistbands. 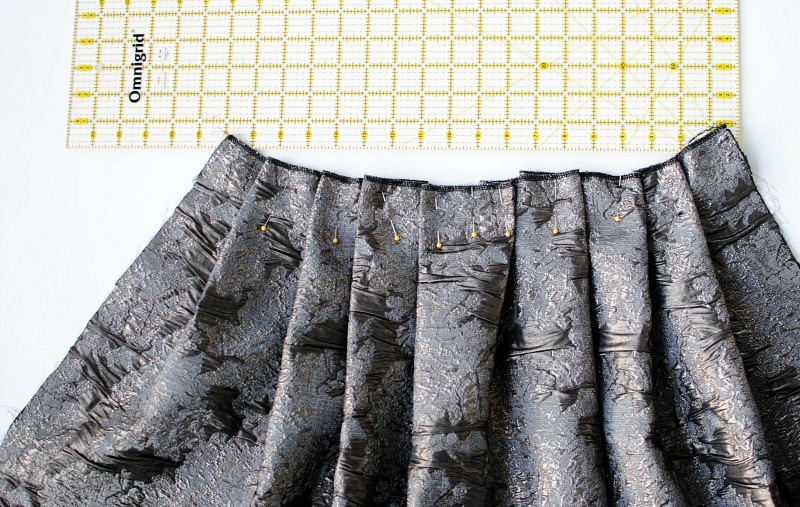 Top stitch the waistband into place pulling as you go to fit around the skirt. Pair with my Veerah heels and a simple sweater and I'm Holiday ready! You cut the fabric the other way round to have the selvedge edge for the hem, right? Does it have effects on the "look", on the fabric fall? Thank you. Such a amazing outfit for outing I really like it willing to try it as soon as possible. looking very good in it. البته مواردی وجود دارد که عمل لیزر شرایط خاصی را دارد، به عنوان مثال در بواسیر داخلی پرولاب که با پرولابس روده همراه است باید از لیزرهای ویژه ای استفاده کرد. همچنین در شرایطی که حجم بواسیر ها بزرگ شده باشد، ممکن است جراحی بواسیر با لیزر بهتر جواب ندهد و نیاز به جراحی سنتی باشد.هزینه درمان بواسیر با لیزر را نمی توان به صورت سرانگشتی محاسبه کرد. درمان بواسیر با لیزر هزینه معینی ندارد و بعد از معاینه و تشخیص نوع بواسیر توسط پزشک متخصص مشخص خواهد شد.اگر یک شقاق مقعدی با این درمان ها بهبود نیافت، ممکن است به جراحی نیاز داشته باشید. یا ممکن است پزشک برای تشخیص سایر اختلالات و علت ایجاد شقاق مقعدی، دستور آزمایش ها و بررسی های بیشتر را بدهد.شقاق مقعد یا آنال فیشر (فرانسوی: Fissure anale) وضعیتی بسیار دردناک است که حاصل زخم سطحی یا پارگی در ناحیه پوشش سلولی مقعد است. I love your posts.They are simple and they make sewing look like a game. But why don't you delete these spam comments above? Continue the good work.